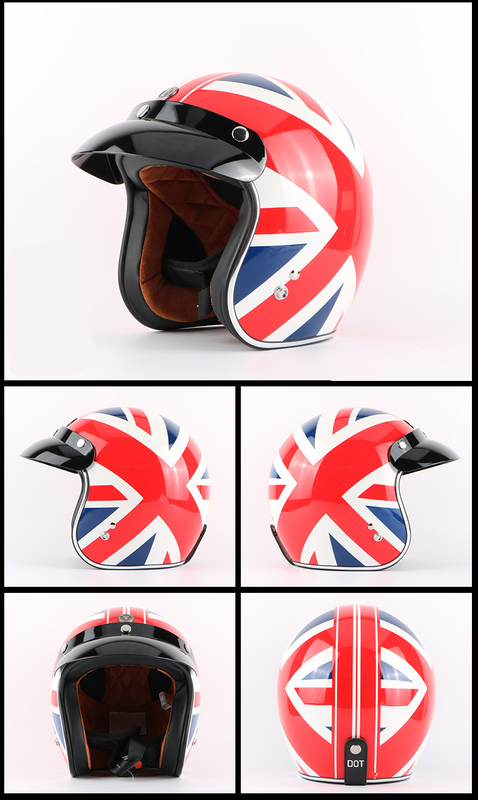 1.Retro and classic style motorcycle helmet. 3.High density EPS buffer layer offers state-of-the-art energy absorption. 4.Soft and comfortable liner uses breathable technical fabric. 5.3-snap system on top for sun shields and visors. 6.Snap fastener design on back, can fasten the strap of the glasses. 7.Quick released buckle system, provide perfect protection. 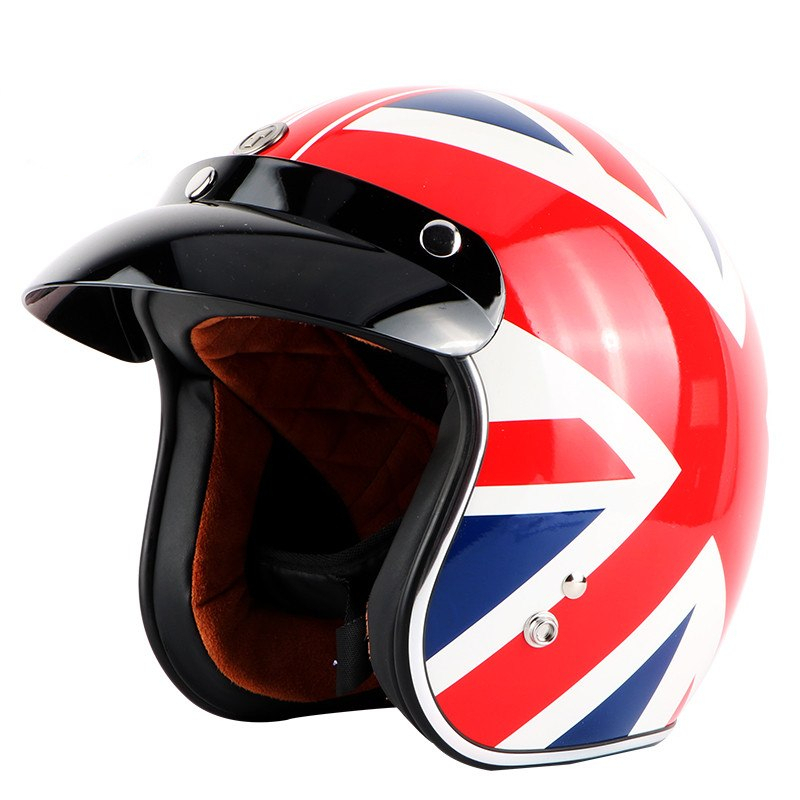 8.Perfect for motorcycle, cruiser, touring, bike and scooter riders.